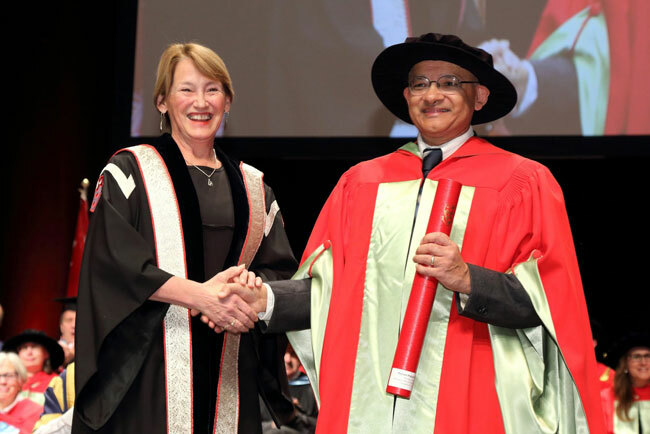 Principal Suzanne Fortier with Prakash Panangaden, winner of the Principal’s Prize for Excellence in Teaching in the Full Professor category (2016). Teaching is an activity that is often recognized only by the students of great teachers. However, there are many opportunities for our great teachers to be publicly acknowledged for their commitment and excellence, both at McGill and externally.